Why my iPhone is unable to make or receive calls? Why the device's screen is showing "Call Failed" or "Call Ended"? You must have experienced this weird situation with your iPhone. That's why you're here. Aren't you? For all those users who are going through this problem, this post can be helpful as we are going to discuss solutions for the issue of iPhone calls not working. But before leaping on the solutions, let's dig on reasons to grasp why you can't make or receive calls on your iPhone. Part 1 Why iPhone Calls are not Working? Many reports have been filed that after they have updated their iPhones to the latest version of iOS, they were unable to make or receive calls whereas their message service is working just fine. In this year too, users having iphone 5s, 6, 6s and some iPhone 7 users also have reported that they are experiencing this problem after they have updated the device to the latest iOS 11. 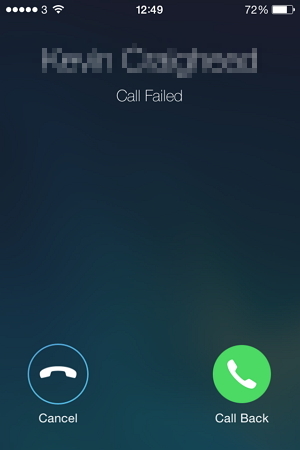 Users have reported that they either see Call Failed or Call Ended while trying to dial. Now let's discuss the methods that can resolve iPhone calls not working problem. Rebooting your iPhone can eliminate most of the issues and hence a simple but powerful resolution for various issues. 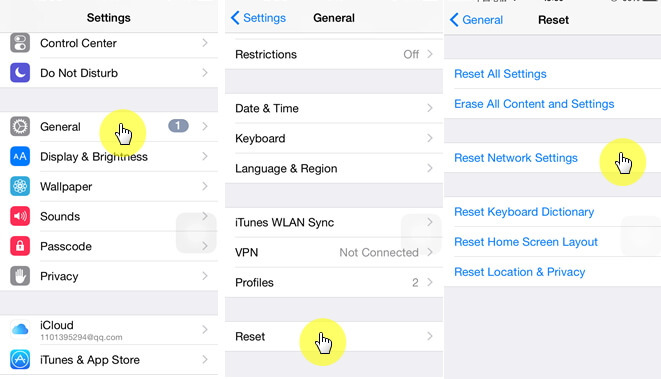 If you can’t make or receive calls on your iPhone, try rebooting it up. Hold the Power button of your device until a red slider pops up. Drag it from left to right and let your phone get turned off completely. Now walk up to your kitchen, drink a glass of water and come back. Well, trust me, this has nothing to do with the fixing but just to give your phone some 20-30 seconds to properly get all functions stopped. Now turn back your phone on by pressing and holding the power button again until Apple logo appears. Try checking some of your iPhone settings. Toggle "Airplane mode" by heading into the "Settings" and turn on the "Airplane Mode". Wait for about 10 seconds, now turn Airplane mode off. 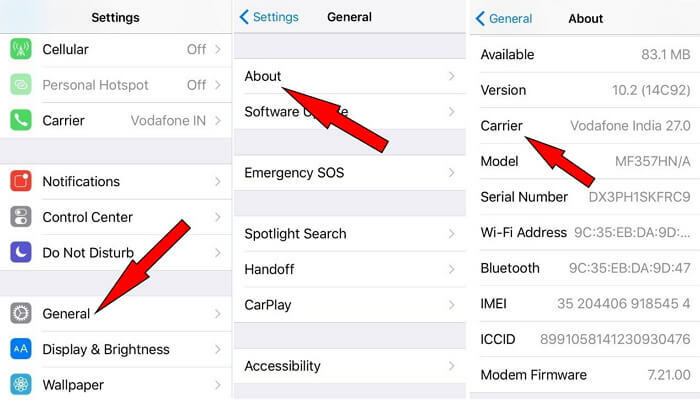 Check if your DND (Do not disturb) Settings are turned off or not. Head to "Settings", locate "Do Not Disturb" and check if it is on or off. Call Forwarding can also hinder in receiving any calls. Get into "Settings", proceed to "Phone" and then "Call Forwarding", and turn it off if it is enabled. Try resetting your network settings. Head to "Settings", proceed to "General", then "Reset" and tap on "Reset Network Settings". By doing this you will wipe off all faulty saved settings. Note: This will wipe off all your saved Wi-Fi passwords, VPN settings and preferred networks. You would have to set them up again. Sometimes calls may get dropped quite often due to a poor connection with the carrier. Try updating the Carrier Settings. Connect your iPhone to a Wi-Fi; ensure that the internet connection is stable. Head to "Settings", proceed to "General", tap on "About". You'll see notifications about the update, if available. Check SIM Card if the above things don't work for you. SIM card is essential to make or receive any call, hence if there is any damage or scratches on your SIM Card that could hinder in establishing a connection. 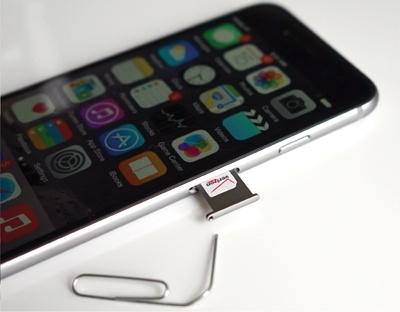 Eject the SIM card tray with the SIM-eject tool and check the SIM card with other smartphones to see if it works fine. 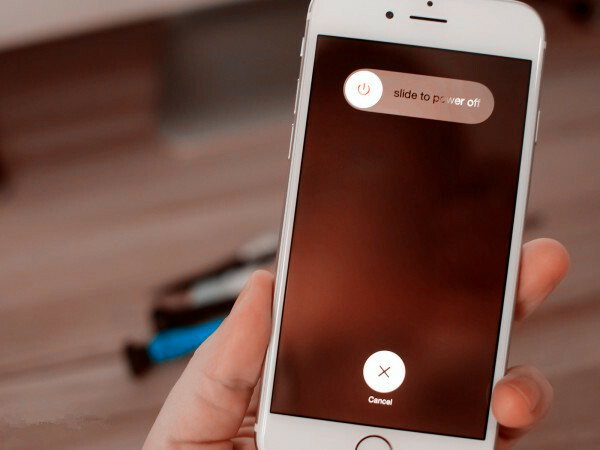 Try inserting any other SIM card into your iPhone and check if you still can't make or receive calls on your iPhone or not. After reinserting the SIM card, if it still doesn't resolves, call your carrier. Before calling, make sure all your bills have been paid off, just to ensure that it isn't an unpaid bill block. If you have paid all your bills, call your carrier and ask them if any issue is persisting on the network to know whether it's just you or others are facing the same issue. Or else, ask them for a SIM card replacement if you found your SIM card damaged. There could be iOS system issue with your iPhone. We know there are several programs that can fix the system problems. Here we introduce the most efficient one -- iMyFone iOS System Recovery which is specialized in repairing iOS device with few easy and simple steps. The extremely good thing with this software is that your data is not moving anywhere. By using the standard mode of iMyFone iOS System Recovery, there's no risk of losing data. The software assures complete safety and security to your private information. This software is powerful enough to fix wide range of iOS issues like freezing of iPhone, white/black screen of death, or get iOS device out of recovery mode/DFU mode. It is exceptionally easy to use where there's no need of extraordinary instructions. Moreover, it provides lifetime support. Using a USB cable, connect the device and the computer. Open iTunes and click the iPhone icon that appears in iTunes. Click on "Restore" from the "Summary" tab. You need to click on "Restore" again in order to verify that you really want to restore. This step is done to confirm your act because this can lose your data. After clicking, select "Set up as a new iPhone". The iPhone will be restarted. If none of the above tips can turn your iPhone to normal, then there must be a hardware issue. Please go to Apple Store to solve the problem.